Perseverance. Stubbornness. Determination. Adamancy. All these are traits that are commonly looked upon as admirable. These qualities conjure up stories of the entrepreneur in his job, the athlete who no one believed in, the aspiring writer. Our culture has come to worship these qualities. That certain sinking your teeth into a belief and not letting go. But what if we are supposed to let go? What if we are about to hitch our wagon to the wrong star? I found my inspiration (yet again) from the Harvard Business Review when Tony Schwartz discusses how letting go has helped him in business and how decides when to hang on and when to let go. It’s a delicate balance. How can we be certain that something isn’t right? We don’t want to surrender, but at the same time, we don’t want to waste our time. I agree with Tony when he talks about trusting your intuition and thinking big picture. So many of our decisions are made from our “gut.” Trust it. I call it the God Whispers and the Nudges of Fate. You might not know why or how you feel a certain way, but you do. Honoring that instinct is the first step. If you are still unsure, think long term. Will letting this go seem like a huge deal in six months or a year? If not, then let go and find something that fits and feels right. Tony discusses his relationships with potential clients and current clients who wanted an earlier deadline. By saying no to a potential client who wasn’t a good fit, he did himself and the client a service. Why waste time and money when you know it won’t work. Honesty fosters goodwill, and goodwill will do more for your business than one new client. In terms of the other client, he knew he couldn’t perform on that deadline with the method and route he believed in. So, he told the client he needed more time. In the grand scheme of life, moving a deadline back is not a big deal. He probably delivered a better product on the later deadline. Outside corporate America, letting go applies, as well. As a twenty-something female, I immediately think of relationships. Be honest, no matter if you’re a man or a woman, you’ve had a friend (or been the friend) who can’t let go of a relationship. You know it isn’t good for you. Yet, you can’t help but hold on by the threads. You want it to work so bad that you take some lengths that are somewhat unattractive. You’ve got to learn when to say when. Or even worse, the relationship is over, but you can’t let go. Your friends delete his (or her) number. But after a couple (ten) cocktails, the texts or calls are inevitable. Desperate doesn’t look good on anyone. It’s easier said than done, but letting go will give you more than holding onto a failed relationship will. In another sense, there are fashion styles that by the grace of God have come into fashion. (And I say grace of God because there is no way that these looks should have ever seen daylight.) 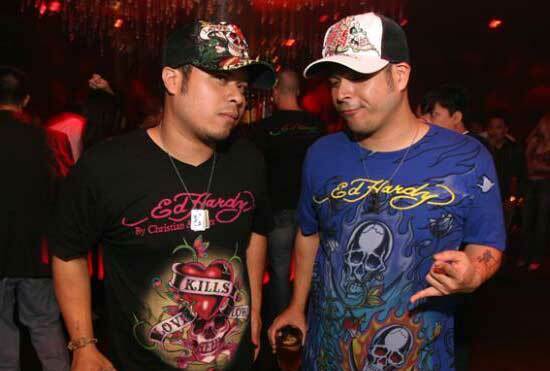 Think the mullet, hammer pants, scrunchies, acid wash jeans, Ed Hardy… The list goes on and on. They say a picture is worth a thousand words. 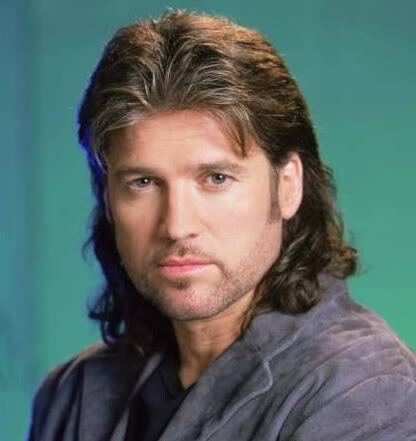 Billy Ray Cyrus isn’t even a bad looking guy. But come on! The mullet? So, while you’re all shocked, just think while you’re having a hard time (Mom, what do you mean I can’t get frosted tips like Justin Timberlake circa 1999?) Is what you’re holding onto honest to who you are? Or is it just another ill fated and ill matched trend bound to mark you in infamy for years to come?